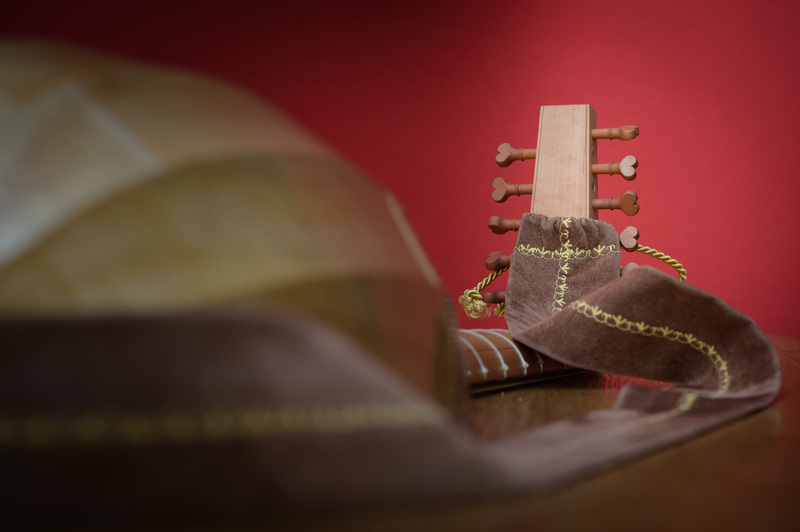 Besides the individual lessons we like to offer a seat in a »Chest of Lutes« to each participant. The five sizes of lutes required will be provided along with tabulatures from the Seaven Teares mentioned above and some books of songs. Reading from staff notation or polyphonic play is not required to take part, so that also new starters can play in our consort. The individual lessons will be taught with the whole group listening. Here we'll focus on English solo-repertoire: Dowland, Johnson, contemporaries and predecessors, and on songs, self accompanied or providing the accompaniment for somebody else. A reader with repertoire ideas on different levels of skill will be send to the participants ahead of time. Lukas Henning studied at the Schola Cantorum Basiliensis, a leading research and teaching institution on the field of historically informed performance practice, where he received his Master of Arts - degree in 2016. He specialises on the Lute and Theorbo, which he studied under Hopkinson Smith. He received additional teaching from various influential scholars and performers, such as Crawford Young, Jesper Christensen or Anthony Rooley. Since 2011 Lukas Henning has been performing throughout central and northern Europe. He created me:mo, a website for art & music with regular episodes on Renaissance lute music. The lute workshops start on Friday night with a mini-recital by Lukas Henning. Guest s are welcome. A donation equal to a normal concert ticket is asked for. Please send an e-mail if you plan to come. No walk ins!